Debra A. Webster is a native of Grand Island, Nebraska. Deb is a Certified Registered Nurse Anesthetist (CRNA) for Associated Anesthesiologists, P.C. 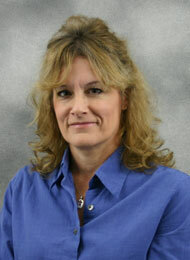 In 1984, Deb completed her Nursing Degree at Kearney State College (now University of Nebraska at Kearney). Deb completed her anesthetist training at the BryanLGH School of Nurse Anesthesia in 2011 and became a licensed CRNA that same year. Deb has been with Associated Anesthesiologists, P.C. since June, 2011. Deb has two sons; one is currently serving in the United States Air Force. Deb enjoys running, all sporting events, especially football.